A giant troll wreaks havoc at the school science fair, threatening to expose both the troll world -- and the royals' true identities. Love TrollHunters & love this! The colors in this and TrollHunters are so beautiful it looks like no other animated show ever made! TrollHunters is my favorite animated kids show ever! It was beautifully made by Del Toro & I was so sad when it ended! They really surprised ppl with that! 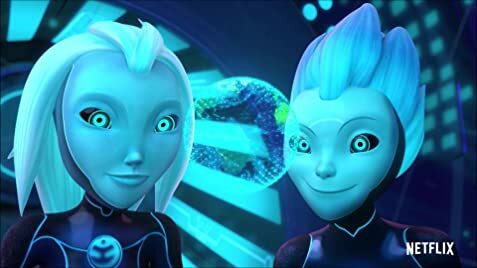 But Del Toro gave us a taste of these two characters in two episodes from the last season of TrollHunters & I thought huh weird these two kids are crazy nutz. But they must have something to do with the next upcoming story line in T.H... But then they ended it and this came out of Nowhere it's part of the Tale of Arcadia universe with a third show on the way about Witches of Arcadia! So as genius as these show runners are I wouldn't be surprised if we get another taste of those upcoming characters in this show! I really am enjoying this so far they are mixing characters in from T.H. And it makes me less sad that that show is over. They got another great cast of voice actors for this show and they give life to the great written script! 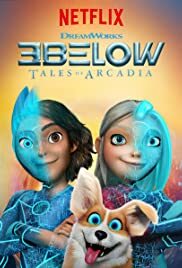 Tales of Arcadia is so smartly written & funny it's so good for children but there is always a addictive story line and funny characters to keep parents and like myself ppl in there 20s who love a great animated show or just watch everything Del Toro does! You don't have to watch TrollHunters first to watch this! But you would get a lot more out of it if you did! Like I said I watch a lot of shows and TrollHunters is my favorite kids show ever yes even more than the Last Airbender! I love watching these shows while I go to sleep to cause all the beautiful blues and dark neon colors just relax me into sleep! That's after I have watched them a few times tho!